WELCOME HOME to 10 Donners Trail Ct. Move right in to this exceptional 2 story home with so many up to date finishes and features. The kitchen is a cook's delight with raised panel cherry cabinets, stone backsplash, granite counters, stainless steel appliances and ceramic tile floors. The spacious, light filled family room features a 5 window bay and a floor to ceiling stone fireplace flanked by built-in bookcases. The vaulted master bedroom suite includes a luxury bathroom with granite counter, double sinks and separate tiled tub and shower. 3 additional bedrooms and another up to date full bath complete the second floor. The 4th bedroom is currently being used as a walk-in closet (seller will remove shelving if desired). Additional features include new staircase with hand stained steps and iron spindles, over-sized insulated 2 car garage, insulated garage door and desirable cul-de-sac location! 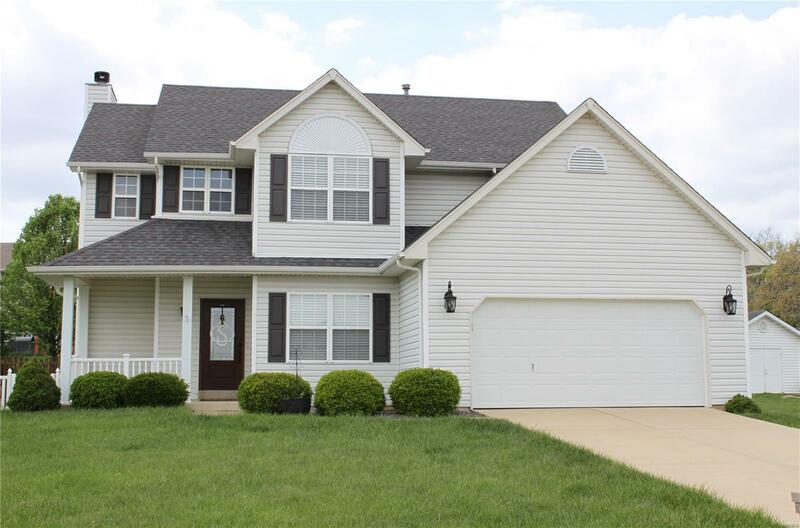 Schedule a showing to view all of the wonderful features in this home!